"God will cleanse your sins if you are dissatisfied, and willing to continue the effort and struggle toward perfection." 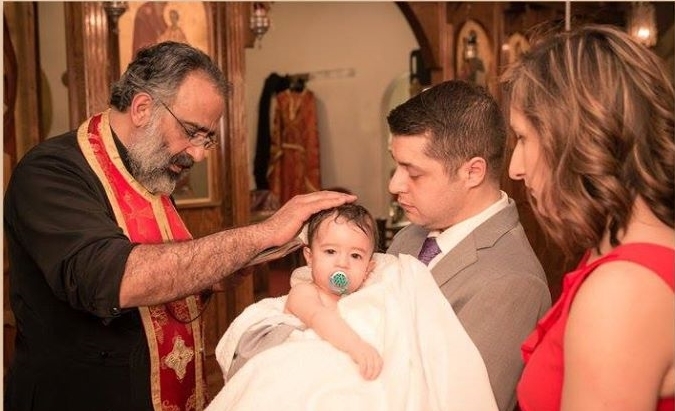 Holy Baptism is a key Sacrament for the Orthodox Church, whereby one is cleansed through Divine Grace of all sins by being immersed three times in water in the Name of the Holy Trinity (Father, Son and Holy Spirit). They are reborn into a new holy and spiritual life. 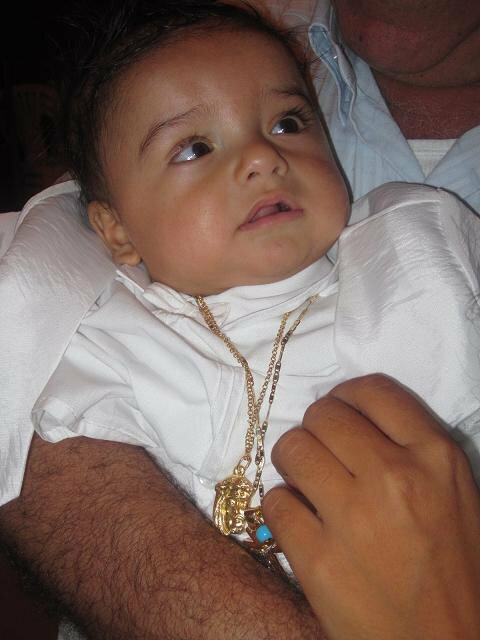 Having become a member of the Church through Baptism, infants can receive Holy Communion and from the first days of their life on Earth, they can become vessels of the Holy Spirit. For as the Lord Himself said: "Let the children come to Me, and do not hinder them; for to such belongs the Kingdom of Heaven" (Mattew 19:14). 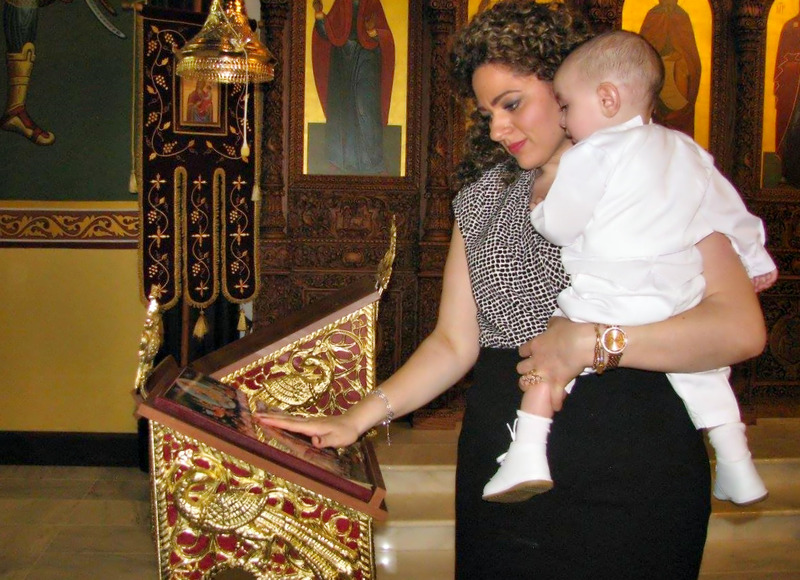 The Baptism of both adults and children takes place in the presence of sponsors (Godparents), who act as guarantors for the one being baptized. The sponsor(s) are responsible for following after the spiritual and religious upbringing of the child. Yet it is necessary to perfect oneself morally even after Baptism, and there is still the possibility to fall. 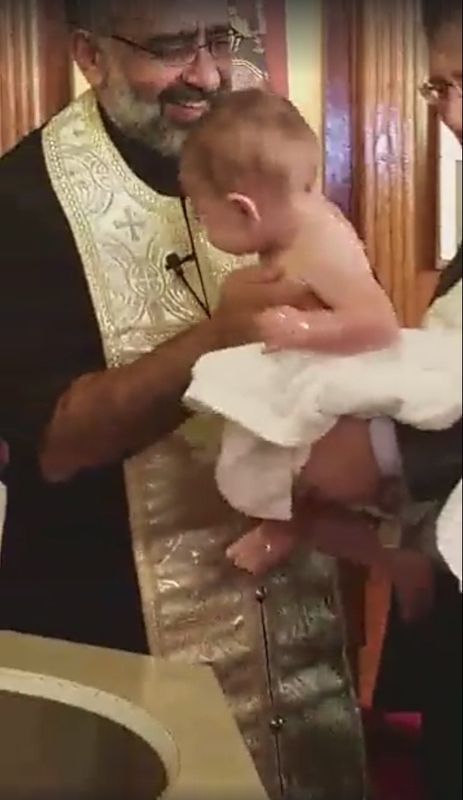 In modern times, the Baptism is usually administered on or after the 40th Day after birth, when Christ was brought by His parents to the sacred Jewish Temple to fulfill Jewish tradition. The Sacrament of Holy Baptism was instituted by Our Lord after His resurrection, when He appeared to His disciples and said: "… Go therefore and make disciples of all nations, baptizing them in the Name of the Father and of the Son and of the Holy Spirit, teaching them to observe all that I have commanded you; and lo, I am with you always, to the close of the age" (Matt. 28:18-20). On January 6, Christians commemorate the revelation of the Holy Trinity after the immersion of Christ in the Jordan river by John the Baptist. That Biblical story is recorded in all four Gospels. John the Baptist was preaching repentance, and was Baptizing those who responded to that message. 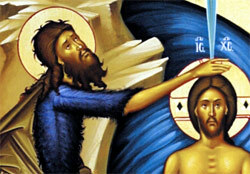 Although John noted there was only one (Jesus) who would Baptize them with the Holy Spirit (Matthew 3:11). Scripture conveys that Jesus came from the Galilee and was immersed into the Jordan river by John. Initially, John pleaded that Jesus should baptize him instead, but eventually consented. When Jesus came up from the water, the heavens opened suddenly, and the Holy Spirit descended upon Him. A voice came from heaven and said, “This is my Son, the Beloved, with whom I am well pleased.” This was the voice of God the Father, and hence the event was a revelation of the Holy Trinity whereby all three were manifest (Father, Son, and Holy Spirit). Complete the online application form ( http://saintantonios.ca/formbaptism.html ). Note that the Parish Council has decreed that an administrator will vet the application, and then they will organize a meeting between the Priest and the applicants. If desired a reception can occur at the Church Hall or the Olympic Hall. A complete list of businesses associated with Church members who provide professional services for such events is forthcoming, and we apologize for having omitted anyone (please email us if you would like to be included).